BRANDING – MUCH MORE THAN JUST A LOGO. When you hear the word “brand”, what are the first things that come into your mind? Most people tend to think that brands equal logo. Or a name. But in real life, a brand is so much more. To make things simple, we can divide the brand into two part. First one is a brand identity (which most people think a brand is) and the second one is a brand strategy. Let’s dive deeper into both parts and see what actually one brand can include in itself. Let’s start with brand identity. That’s the main thing people might notice first (at least in their opinion). Brand identity includes all the things that can be more tangible and visible for customers. For example, brand logo, name, colours, typeface, booklet etc. Using different brand identity elements is a very good way of how you can influence people perception about your brand and make a good first impression. But the brand doesn’t end with these elements. 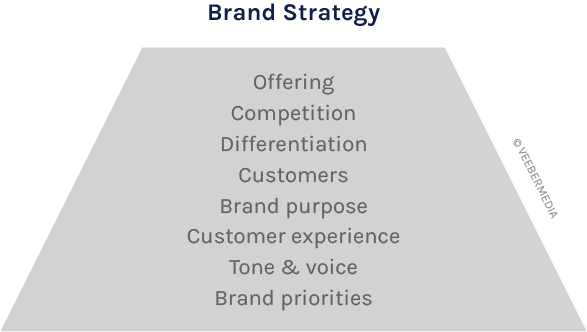 Probably even the biggest and more important part of the brand comes from the brand strategy. You probably even don’t realize how much brand strategy can hide under itself. When we talk about good brands, these are some of the things that are always thought and worked on – customers (probably one of the most important part of the brand strategy), brand purpose, service offering and customer experience, brand tone & voice, competition, differentiation and offering. To create a really purposeful brand that can stand against different times and be well manageable, base level things need to be figured out. Focusing on only design elements can work for a quick moment. It’s always cool to see new brand visuals – but if all the other things are not working in harmony, things are not gonna end as wanted. There are many things that need to be thought before designing and there are even more things that business owners need to follow to maintain their brand, it’s purpose and unity. Different visual elements can and will help your business but only when their strengths are united with strategy and they are working together to complement each other. Branding can be compared with the chess. To win it, you always need to think ahead many steps, be willing to adapt to different environments and make sure that your moves will help you to achieve the end results. When you only think about the one move (for example, new logo and business cards), you probably aren’t going to win the game. To master the branding, you need to know your customer, how he/she acts, what influences his/her decisions, what brand touchpoints you should and need to use, what are your brand priorities etc. That’s also the main reason why I created a strategy-first branding consultancy. After seeing beautiful logos but nothing behind them, I knew that to help our clients to achieve new business results, much more needs to be done before designing. 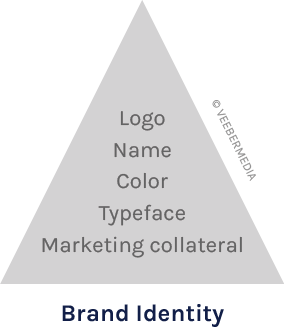 And in addition to this, make sure that branding doesn’t end with new design elements. Brand sustainability is the key here. After creating and improving our branding framework, even we were surprised how much clarity business owners can get when you ask the right questions, focus on the right things and create a simple, yet thorough branding roadmap. Going deeper, finding brand real essence and writing a strategy will have tremendous results. So, as you can see – to create a successful brand, a lot of different things need to be thought on. If you need help in the world of branding, we would love to help you! © 2019 VeeberMedia OÜ | All rights reserved.